A full bodied black tea with absolutely always smooth finish. This unusual tea blend offers all aspects of high quality straight, robust black tea, without any excessive after taste or lingering. Originating in the eastern part of Fujian, China. A full bodied black tea with absolutely always smooth finish. This unusual tea blend offers all aspects of high quality straight, robust black tea, without any excessive after taste or lingering. 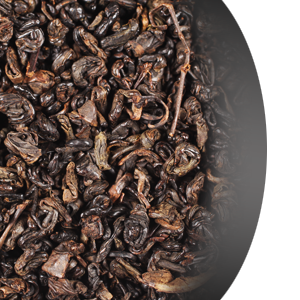 Originating in the eastern part of Fujian, China – this tea is also known as the black gunpowder, due to its unique, anthracite color and rolled, pearl-like shape.